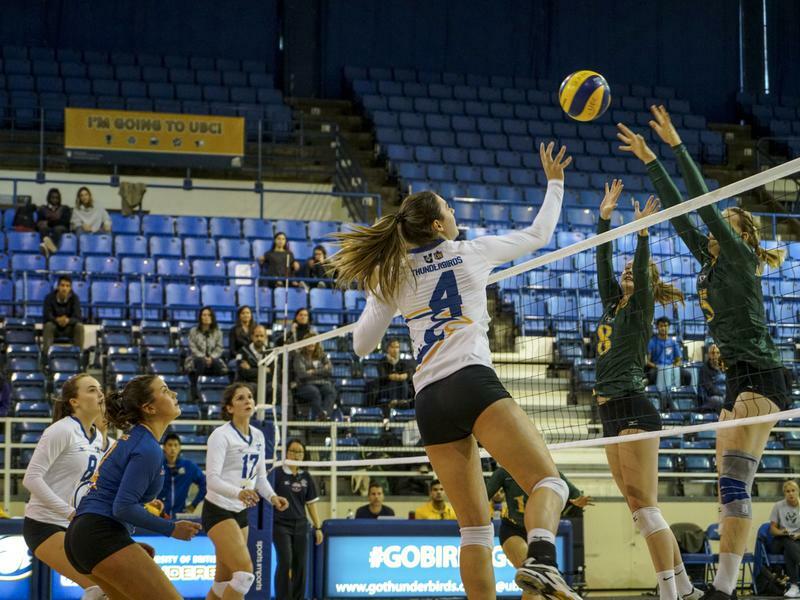 Wrapping up the West Coast Classic on Saturday night, the T-Birds women’s volleyball team faced their third loss in three games at War Memorial Gym against the University of Alberta Pandas. Final score? 3-1 for the visiting Pandas. It was a hard match for the Thunderbirds, as several members were sidelined due to injuries sustained prior to the tournament — including recruit Kiera Van Ryk who is recovering from an ankle injury. However, the remaining UBC side still put on an excellent performance, led by right side Olivia Furlan who finished twelve kills for the home team. Despite winning more kills, the T-Birds didn’t manage to nail their services off the bat, resulting in a first set loss. They managed to catch up in the second set, with improved serving and middle transition helping them to a four-point spread and set win against the Pandas. Alberta wasn’t keeping it friendly after that, as the tie-breaking set was indeed a game full of long rallies. Although the Pandas led by four points in the beginning, UBC soon caught up with a stronger attack. Neither side got to widen their gap by a significant number and the set finally ended up 23-25 in favour of the visitors. The ’Birds weren’t able to take back the final set, instead settling for an 18-25 set defeat and match defeat to boot. 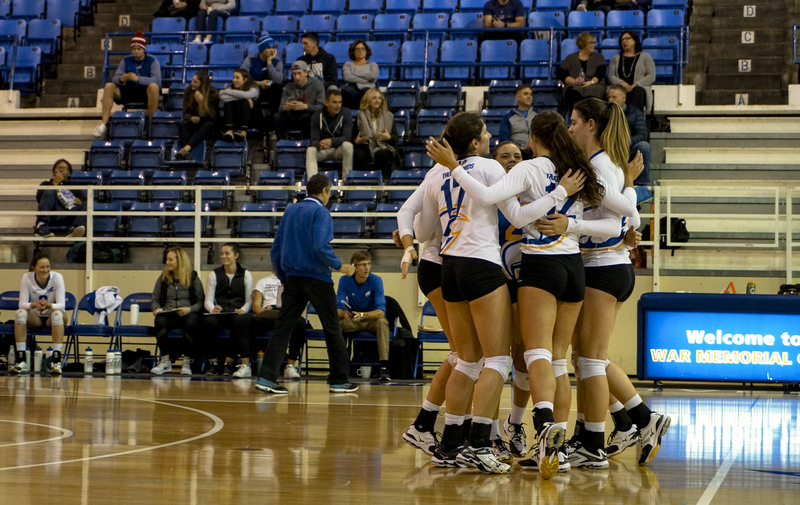 UBC starts their regular season this week with back-to-back games against the University of British Columbia Okanagan Heat on Friday, October 20 and Saturday, October 21.